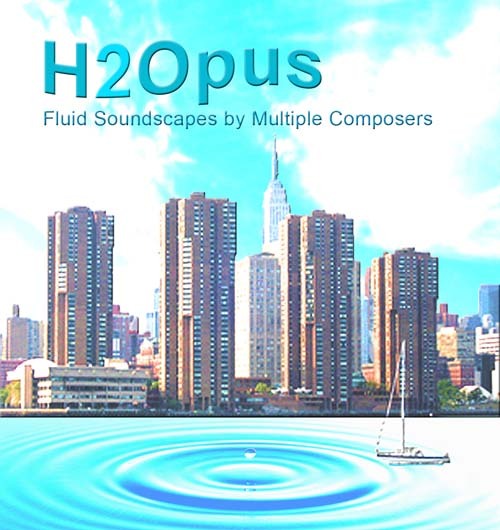 Here’s a slideshow from the first rehearsal of H20pus: Fluid Soundscapes for Multiple Composers, a special performance produced by Patrick Grant for Make Music New York taking place on Monday June 21, 2010 at Waterside Plaza, 23rd Street & The East River, from 7PM – 9PM. In these photos from June 15: Composers Dan Cooper, Gene Pritsker, Joseph Pehrson, Kamala Sankaram & Patrick Grant with performers Kathleen Supove, Marija Ilic and Lynn Bechtold. Drummer/percussionist John Ferrari will join in beginning rehearsal No. 2. 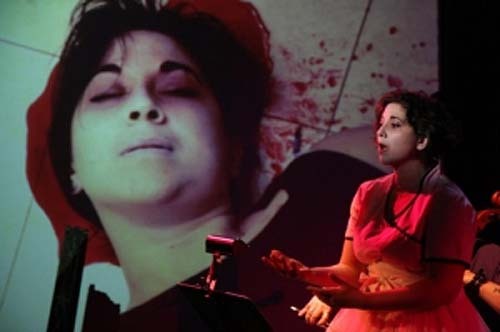 The MMiX Festival of Interactive Music Technology is produced by Theaterlab, radio producer Jocelyn Gonzales, and curated by composer/performer Patrick Grant. All events take place in the studios of Theaterlab which is located at 137 West 14th St., between 6th and 7th Ave., New York City. For more information (ticket info, directions, etc.) visit Theaterlab’s web site at http://www.theaterlabnyc.com. Software and laptop improvements present new possibilities for composer/performers to create complex soundscapes in real-time during live performance. The focus of the festival is to demonstrate that these emerging audio technologies are instrumental in new artistic creations, and to inform the public regarding the current state of this art form. The artists presented in MMiX have set a new bar in that discourse and will provide live performances, media installations and workshops. Ableton, creators of LIVE 8 and Cycling ’74, creators of Max/MSP/Jitter are primary sponsors of the festival with additional support by DubSpot NYC and Eventide. Media sponsorship for the festival is generously provided by WNYC 93.9 FM and 820 AM, New York City listener supported radio. Thanks to everyone who joined us for the Pre-MMiX Party at Theaterlab last night! Brilliant vibes, wonderful people, cool new music…and mojitos! More photos after the tag…but we’ll have video from this event soon! It’s “The Pre-MMiX” at Theaterlab, a benefit party for The MMiX Festival of Interactive Music Technology, happening on August 24th, 2009 at 6:30pm. The Pre-MMiX Party will offer a sampling of the kind of vibrant works we’ll feature this October 8-11 at MMiX, and will also serve as a fundraiser for the festival. If you can not make it, and would still like to contribute, you can also make a tax deductible donation HERE. At the Pre-MMiX, we’ll present special performances by Kathleen Supove (The Exploding Piano), Patrick Grant (sTRANGEmUSIC) and LB (aka Pound): a new duo made up of DJ Scientific (Elan Vytal) & 6-string electronic violinist String Theory (Matt Szemela). Kathy Supove is well-known for displaying her virtuosic and theatrical keyboard skills in her Exploding Piano series, and she’s curator of the Music With a View concerts at The Flea Theater. Elan Vytal, the boundary-breaking DJ who cut his teeth in the clubs and went on to scratch it up in opera houses and museums, has also appeared on this blog with 6 string violinist, Matt Szemela. He sent along this video which features a cut off Elan and Matt’s forthcoming album as the group, LB (Pound). Patrick Grant, a composer of multiple disciplines, from string quartets and club music, to hip-hop marching bands and not-so-subliminal advertising, creates scores and soundscapes for film, theater and media, is curator of the MMiX Festival in October, and will talk a little bit about the mission, the artists and the technology behind MMiX, and will school ya on some of his “sTRANGE mUSIC” at the Pre-MMiX party. So next Monday evening, August 24th, come on up and escape the summer distortion at the Pre-MMix Benefit Party. The event starts at 6:30pm at Theaterlab’s studios and a wine reception follows the performances. Theaterlab is located at 137 West 14th Street, between 6th and 7th Avenue, and near the F and L train, as well as Union Square. The suggested minimum donation at the door will be $10.